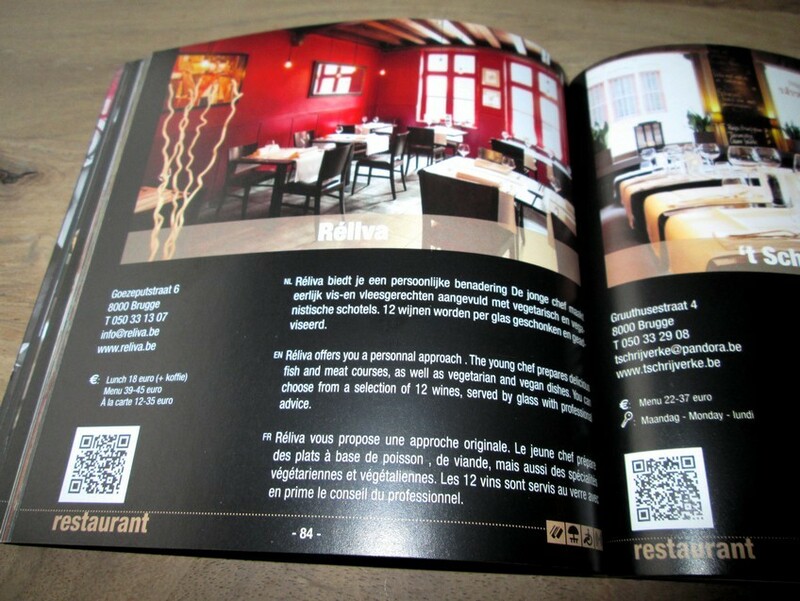 We discovered this handy pocket size guide on our last restaurant visit in Bruges. 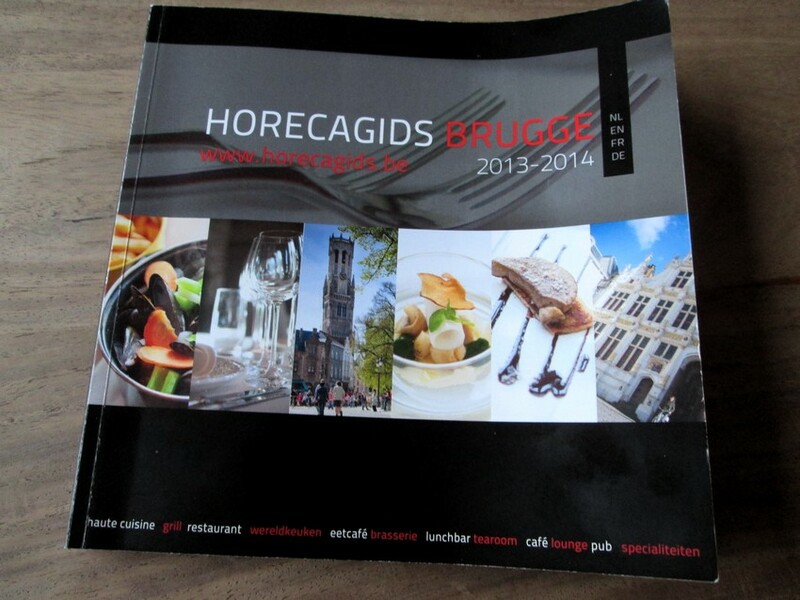 The Bruges catering guide /Horecagids Brugge (online version) lists dozens of restaurants and pubs in Bruges, which a short description of each establisment. Handy in size, sure, but hardly any information relevant for vegans. There’s only one restaurant that explictly mentions vegan dishes in its description, and that’s restaurant Réliva (see our review here). Having the word ‘vegan’ mentioned in a restaurant guide for Bruges is in itself already progress compared to a couple of years ago, but still leaves vegans pretty much in the dark as to where they can get a decent meal. There are other restaurants listed in this guide which also cater for vegans (and we know because we’ve checked them, see our list of restaurants in Bruges where vegans are welcome), but it’s not clear from their description in the Bruges catering guide.